Thank you, Jeanne and congratulations! Click on this link to read more about Jeanne and her wonderful career with students at Robert Gray Middle School. The Wilson Foundation is again hosting "house parties" to raise funds for our current and future students. The Wilson House Parties will be held on October 15, 2016. All alumnae (or community members) interested in attending a house party (or hosting one) should please contact Valeurie Friedman (valeurie@gmail.com) or Linda Venti (Lventi@realtytrust.com) for more information. 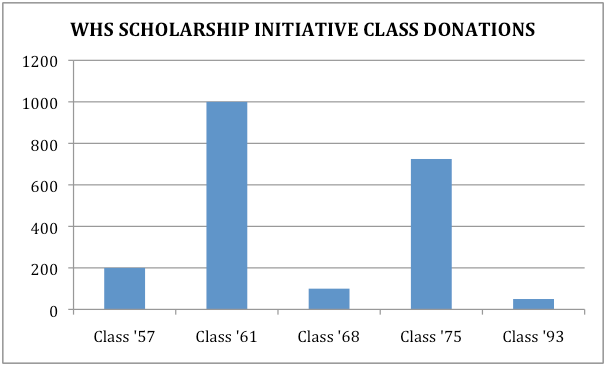 Proceeds benefit the Wilson Foundation so that we can provide more class offerings and, thus, smaller class sizes. 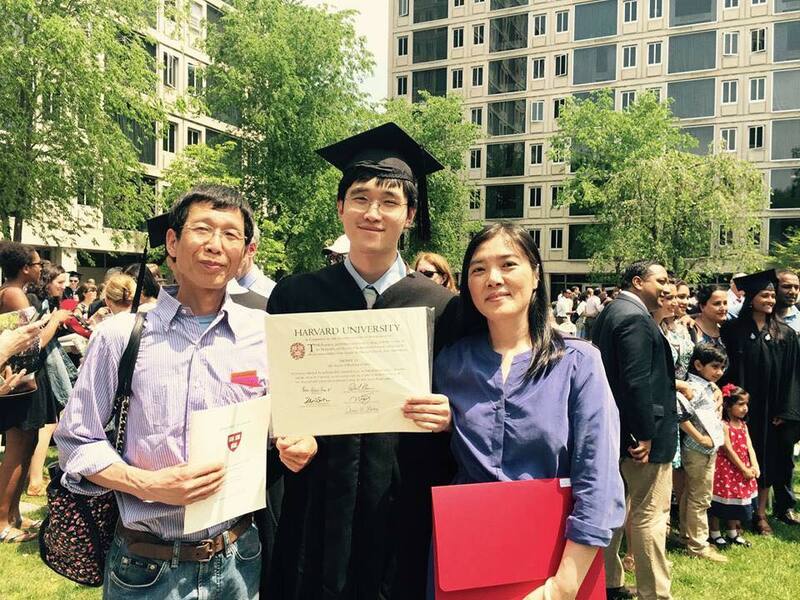 Congratulations to Henry Li '13 for being awarded an undergraduate joint degree in History and Literature and East Asian Studies from Harvard in June 2016. Congratulations to his parents, Hongzeng Li and Wei Jiang. While at Harvard, Henry received the Borden Beck Scholarship, established in memory of the leading recruiter of Harvard applicants from Oregon for thirty years, was established by donations from local donors. The scholarship is presented annually to a first-year student, who will speak at the luncheon about the experiences of first-year students from the Northwest at Harvard. He was also presented with the Joseph L. Barrett Award by the Bureau of Study Counsel. The award commemorates Joseph L. Barrett ’73, by honoring exceptional students who generously give their time to support their peers in developing more meaningful college experiences. Well done, Henry! 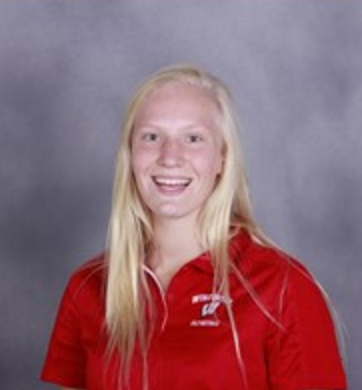 2015 Wilson Alum Alicia Evans was named Big Ten Freshman of the Year in Rowing. Alicia is a freshman at the University of Wisconsin and her major is pharmaceutical science/nutrition. Read more here. Her parents are Sally and Steve Evans and her older brother and Wilson grad Michael Evans '11 rowed at the University of Washington for four years. Well done, Alicia! Carol Stowell '65 posted on Facebook on June 12, 2016, "I just finished the Rose Festival Dragon Boat Races and my team the Golden Dragons (average 65) had to race against the Wilson High team. There are 4 people on my team that graduated from Wilson. ('64, '65, and 2 in '66) we told them that and they could not believe that we were racing them." David Gilkey, an award-winning American photojournalist for National Public Radio, died June 5, 2016 along with his Afghan translator after the Taliban ambushed them in southern Afghanistan, according to multiple news sources, including NPR. He was 50. “We lost our friend and colleague David Gilkey, along with NPR’s Afghan interpreter and fellow journalist Zabihullah Tamanna, in Afghanistan on Sunday,” NPR wrote Monday in a post on Facebook. “David’s moving images went beyond the news to capture the struggles and perseverance of the people who lived it.” In a news statement, U.S. Secretary of State John Kerry offered his condolences. Gilkey “was more than a gifted photographer,” Kerry said. “He was a gifted storyteller, who understood the power of imagery to enhancing the power of understanding. He will be sorely missed.” Gilkey, of Portland, Oregon, studied journalism at Oregon State University. He began his career working for newspapers, including overseas assignments for Knight Ridder, according to his NPR biography. He also worked for the Detroit Free Press until 2007, the year he joined NPR as a staff photographer and video editor. He covered national as well as international news for the organization. He received a number of awards throughout his journalism career. In 2004, he was named Michigan Photographer of the Year by the Michigan Press Photographers Association. Three years later, he won a national Emmy for the video series “Band of Brothers,” which focused on a group of Marines from Michigan in Iraq. And he worked on NPR’s investigation titled “Brain Wars: How the Military is Failing the Wounded,” which received a George Polk Award in 2010. Read more at: http://www.npr.org/2016/06/06/480866035/remembering-photojournalist-david-gilkey. http://www.npr.org/sections/pictureshow/2011/03/01/134141475/whnpa.http://www.nytimes.com/2016/06/06/world/asia/david-gilkey-zabihullah-tamanna-npr-afghanistan-taliban.html. Brian Ratty's newest novel, Vogage of Atonement, inspired by actual events "is a fresh as today's headlines and as true as yesterday's sins." According to Sunset Lake Publishing's Press Release, regional author Brian Ratty announced today the release of his fifth book in his series of adventure stories. Voyage of Atonement is a historical fiction story with strong tie-ins to Northwest and Astoria Oregon. ‘In turbulent 1963, two war buddies turn their sailboat from the Columbia River to the Pacific, and start an assignment of photographing war relics for a documentary. Both men are survivors of Japanese prison camps and suffer many unseen scars of WWII. Rich in atmosphere and characters, Voyage of Atonement, sails across the Pacific with the fury of a typhoon. On the remote islands of Tahiti, these sea scavengers stumble across a mysterious entombed U-boat with a cargo of Nazi gold. When that tainted treasure is exposed, it triggers vicious reactions from a secret group of former Nazi SS members (ODESSA) and the country of Israel. These clashing interests quickly turn their discovery into an international tug-of-war with deadly consequences. Will the scavengers do the right thing, or are they destined to pay a fatal price for their lost treasure?’ “The author takes you on an unforgettable voyage of reconciliation... Voyage of Atonement is truly a captivating piece of historical fiction... brilliantly written and an impressive read.”5-stars: Readers' Favorite. Brian Ratty is a retired media executive and graduate of Brooks Institute of Photography. He and his wife, Tess, live on the north Oregon Coast, where he writes and photographs that rugged and majestic region. Other novels by Brian Ratty include: The Early Years, The War Years, Destination Astoria and Tillamook Passage. For more information on Brian’s books: www.Dutchclarke.com Voyage of Atonement (ISBN: 978-0-692-45428-2) 390 pages, paperback and e-book. This new book can be found at many fine bookstores, libraries and at: www.Amazon.com. For more information on this press release: Sunset Lake Publishing 89637 Lakeside Ct. Warrenton, OR 97146 Phone: 503.717.1125 Brian@Dutchclarke.com.